Real Madrid has been something of a conundrum from a supporter’s point of view this season. Los Blancos sacked manager Julen Lopetegui after October’s Clásico defeat, which gives the false impression that Real Madrid is merely battling for survival. They could have replaced Lopetegui with a superstar manager such as Leonardo Jardim or Antonio Conte, as their recent history would suggest. And yet, Florentino Pérez entrusted ex-Castilla manager Santiago Solari with first-team responsibilities. Since being appointed, Madrid’s performances under Solari have been volatile and unpredictable, but after three months on the job, there are certain tactical patterns and individual biases that have become evident under the Argentine coach. 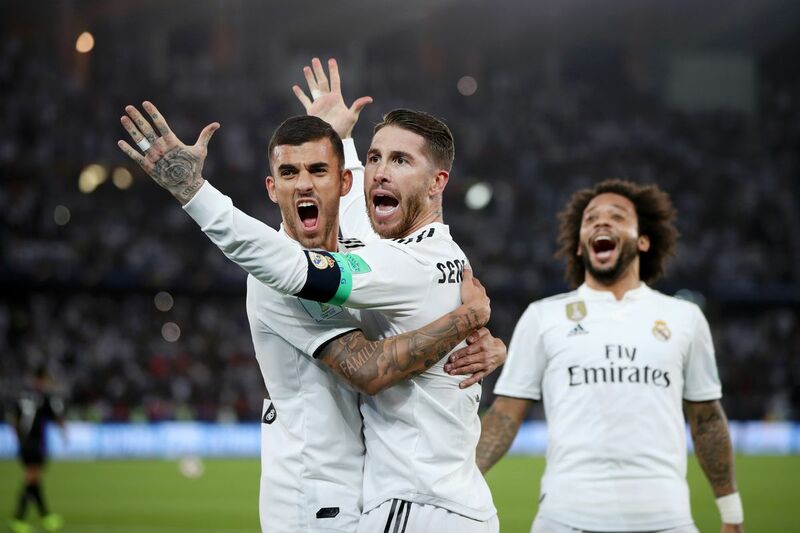 Madrid have been churning out positive results since their dismal loss against Real Sociedad last month, winning five straight league matches, eliminating Leganés in the Copa Del Rey, and mustering a 1-1 draw against Barcelona last Wednesday. Like Lopetegui, Solari has installed a 4-3-3 formation, but his style of play could not be more different than that of the ex-Spain manager. Solari is pragmatic in the sense that he stresses a compact pressing structure, one that has seen the likes of Lucas Vázquez and Sergio Reguilón flourish. Unlike under previous managers, where Casemiro would be left alone to stop counter-attacks and where the forwards did not track back enough to relive pressure in midfield, you now see the likes of Vázquez and Vinícius Jr. tracking back to protect the full-backs from any potential blown defensive assignments, and to ensure that the central midfielders are primarily assigned with staying central to break down counter-attacks. Under previous managers, you never saw the likes of Gareth Bale and Cristiano Ronaldo tracking back, despite Marcelo and Dani Carvajal constantly pushing forward to support the attack. But now under Solari, both the inside forwards and fullbacks work to ensure the team stays defensively solid. It is not the most exciting brand of football, but after a slow start, Madrid are finally getting the results Solari promised at the start. In addition, Real Madrid also implements a tactical tweak that has paid dividends: the counter-press. It is not the dazzling counter-press of Heynckes’ Bayern or Klopp’s Dortmund, but it has been effective in getting the most out of the forwards defensively speaking. In addition to tracking back to help out their fullbacks, Solari’s front-line initiates the first line of defense by pressing the opposing defenders, hassling them to win the ball back. If Real Madrid loses their ball in the opposition’s final third, the forwards will press immediately to win the ball back, but the intense pressing stops after the opposition advances into the middle third, with Los Blancos relying on the rigidity of their 4-3-3 to suffocate their opposition. In their first knockout test, Madrid play Ajax, a team that has no problem hogging possession and playing out of the back. Against Bayern in the group stage, Ajax managed to pick up draws in both the home and away match, and by implementing a high and aggressive press, they pushed Bayern’s defense into conceding easy chances. Against Barcelona in the mid-week fixture, Solari started Marcos Llorente at holding midfield, but against Ajax, Solari will have to opt for Toni Kroos or Casemiro, given that Llorente will be suspended. If Kroos starts, he will be accompanied by another press-resistant midfielder in Dani Ceballos. Nonetheless, Madrid’s press-resistant midfield trio must be diligent defensively to stop the likes of Hakim Ziyech and Frenkie de Jong from carving open chances in the middle of the pitch. After a tumultuous first half of the season, Los Blancos are finally finding their form. Two points separate them from second-place Atleti, and 90 minutes separate them from their first Copa Del Rey Final in five years. Their European record has been a bright spot, and while they are no longer the outright favorites to win the Champions League after losing their Portuguese talisman, you can never count them out. Even after losing Cristiano, Real Madrid are a sleeping giant that can be awoken at any point. A giant that consists of an in-form Karim Benzema, a mercurial Gareth Bale that is a liability at his worst and a game-changer at his best, and a Vinícius Jr. that is coming of age, despite still being 18 years old. It will not be pretty in terms of the aesthetics, but if there is any team that could counter Ajax’s energetic, youthful, high-pressing vigor it would be Real. In some ways, this is the clash of the new guard going against the old guard. It will be an exciting tie for all football supporters, as Real Madrid continue to do the unthinkable: to win four consecutive European Cups.